In the 1800’s jewelry was even more valuable than it is today, so each piece was made to be as versatile and wearable as possible- like this star, that can be worn as a pendant or pin. 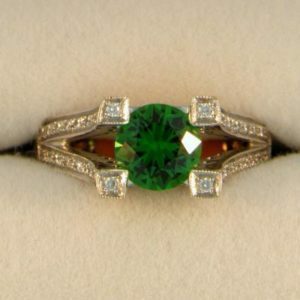 It is crafted in yellow gold, while the diamonds are set in sterling silver. 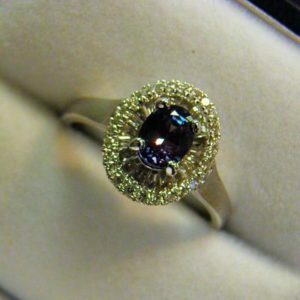 This was done because the silver would oxidize over time, and make the white diamonds stand out against the dark grey of the silver. 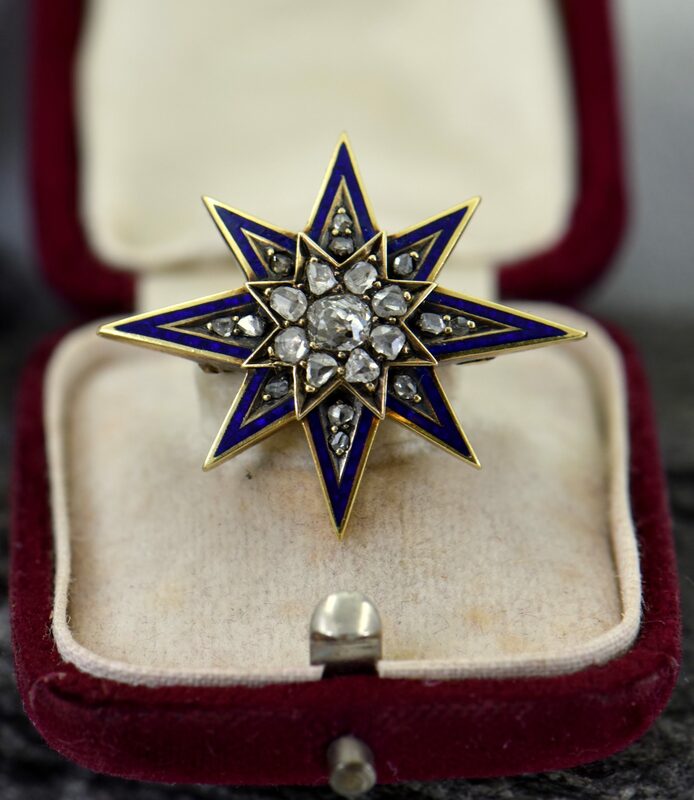 The outline of the star is further accented with cobalt blue enamel, which is in truly excellent condition for its more than 150 years of age. We wish every star would twinkle like this one! Details: 14k gold and silver star with .30ct mine cut diamond (SI JK) and .50ct rose cut diamond accents, circa 1870.